The main qualification for being a Green Lantern is to have No Fear. Oh, and a high forehead. What’s with all the giant foreheads in GREEN LANTERN? Ryan Reynolds is Green Lantern’s forehead – and I must say, the perfect visual representation of the DC Comics ring-bearer; the great Mark Strong (SHERLOCK HOLMES 2009) is Lantern Sinestro’s lavender forehead; Tim Robbins is a senator’s forehead; Geoffrey Rush voices the webbed forehead of Tomar-Re the fish Lantern; there’s Jay O. Sanders, legendary character actor forehead; and the powerful Temuera Morrison is lilac Lantern’s forehead, Abin Sur. Peter Sarsgaard is Hector Hammond, a mad scientist – not content with the size of his forehead, so makes it even bigger. If you’re thirteen, this movie is as awesome as The Jonas Brothers. Justin Bieber liked it so much, he considered growing a forehead. 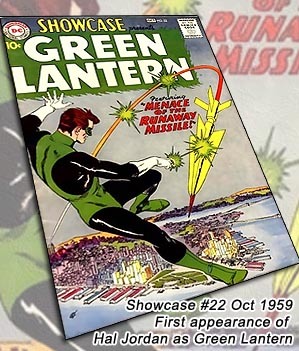 (Aficionados will know that Jordan is actually the second Green Lantern, the “Silver Age” reboot created by John Broome and Gil Kane 1959, after the original 1940 Alan Scott Green Lantern petered out). GREEN LANTERN follows the yawn flow chart of Discovering Powers, Learning How To Use Them, Being Trained… Hal is told his ring is powered by Will. And works best when there is No Fear. A big dog-thing Lantern named Kilowog (voice of Michael Clarke Duncan) trains him by throwing green CGI threats at him, until Sinestro takes over the training and the green CGI goes bananas. It’s pretty cool stuff, even if you’re not thirteen. Between Hal’s friend (Taika Waititi), his family life (he’s a beloved uncle, unreliable brother) and work (test piloting with smokin’ tight wingwoman Carol Ferris (Blake Lively), whom we suspect is anorexic when she turns sideways and her slim waist almost disappears), one wonders how he finds time to be an intergalactic policeman. In the serious, Man’s part of outer space, Sinestro visits the Guardians of the Universe, wizened old guys who eternally perch atop lofty spires, with long robes and longer earlobes, grave countenances and – you guessed it – GIANT FOREHEADS. (In Lantern lore, Sinestro is a rogue Lantern; here, he is still begrudging pal to Hal Jordan, touchingly admitting Jordan’s worth when he calls him by his superhero name, “Good luck… Green Lantern!”) Sinestro outlines his plan to stop Parallax, who has grown so powerful and bloated on fear that he appears as a city-sized octopus-y thing with grainy-gray tentacles, a saw-toothed mouth and – Jesus Christ! Look at that forehead! It must be 50 feet wide! Speaking of wide foreheads, Sarsgaard actually gets a chance to “act” here – or maybe the word is “overact” – either way, it’s miles more entertaining than his usual dead-eyed Quaalude performances. Tim Robbins plays his contemptuous father (we see the resemblance in the massive noggin). Viewers and reviewers alike have to stop creating this gap between fun and quality, as if they are mutually exclusive states. A film like SEVEN SAMURAI is total quality, yet it is still “fun.” Because of its quality. Yet when a film is classified as exclusively “fun” it’s almost as an excuse for its lack of quality. GREEN LANTERN is a fun film (exhilarating, frenetic, bombastic, fast and furious, yet subtle in very cool ways, especially in the visualization of the Lanterns’ organic spandex), but its lack of quality does not stem from it being fun, but rather in trying to cram too much into one movie and sacrificing good editing and storytelling. There is a grandiose metaphor fighting for primacy in the film’s climactic moments when Parallax is annihilating an Earth city and Green Lantern faces him down. Parallax’s attack conjures memories of 9/11 (his tentacles dustily sweep through avenues, crushing skyscrapers, as people run screaming from the destruction) and Green Lantern must stop him. Now recall that the power ring works best when there is No Fear. As Lantern faces down the terror-inspiring entity, his Will flags and Parallax forces him to his knees. But he rallies with that nursery rhyme Oath (‘scuse me while I break out my leotard) and chokes down his fear, enabling him to triumph. Hence: “terrorists” who prey on our fear only win when we FEEL fear; for us to triumph then, all we have to do is feel No Fear. (Was it mere coincidence this scene resembled 9/11?) Amongst the dynamic poses and ripped abs, is this the underlying forthright message of GREEN LANTERN? We already know that the underlying message is that mustaches are evil. Writers: Greg Berlanti, Michael Green, Marc Guggenheim, Michael Goldenberg. Starring: Ryan Reynolds, Blake Lively, Peter Sarsgaard, Mark Strong, Tim Robbins, Jay O. Sanders, Taika Waititi, Angela Bassett, Gattlin Griffith, Jon Tenney, Temuera Morrison, Geoffrey Rush, Michael Clarke Duncan, Warren Burton, Salome Jens, Clancy Brown. Green Lantern’s green bikini color, when inverted (made negative), turns into the color of Sinestro’s purple skin! I never realized this until I was fooling with these images in Photoshop. To think that the creators of these characters included this subtle clue to their characters’ rivalry in plain sight for decades! Green – and its “opposite”!